​If you are interested in woven wraps and start to build even a small collection, you might find yourself wanting to branch out from your "base size" at some point. 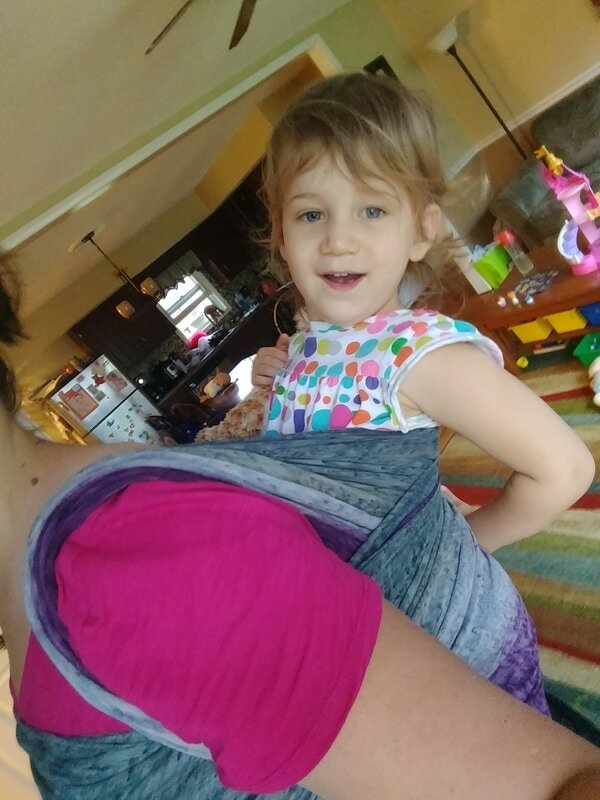 There are some great things about mid-length and short wraps: you can pack them down a bit smaller (less room in a bag) and you can do some interesting carries, without having to wrangle a whole lot of fabric. I especially love them for back carries for short walks with bigger babies and toddlers. 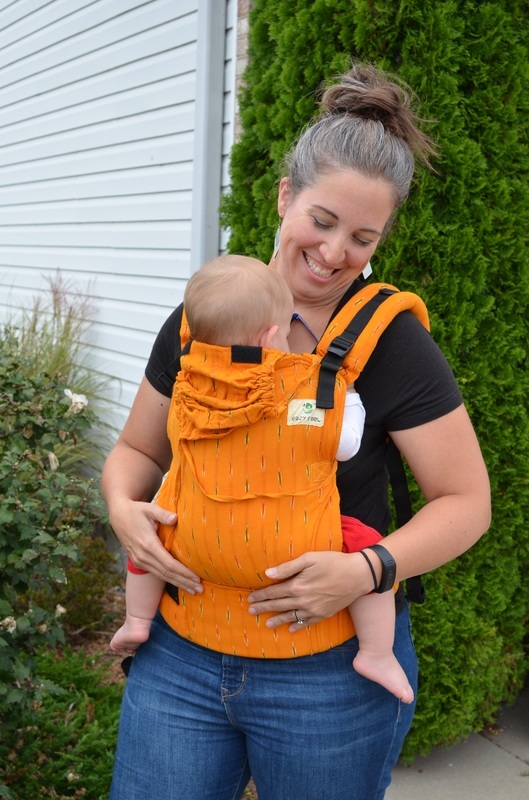 snuggly front carries with newborns, and easily adjustable front or hip carries for breastfeeding. 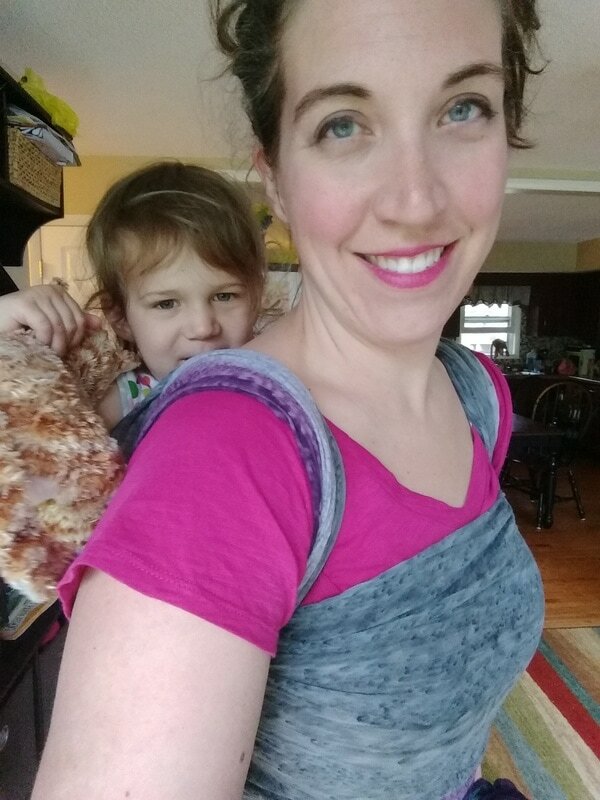 My favorite wrapping qualities in a shorty are generally: cushy (feels a bit soft on the shoulders), moderately grippy (so it holds a slipknot well), and moldable but with a bit of structure (it will conform easily to baby's body and mine, but still has some moderate heft - it isn't too floppy). 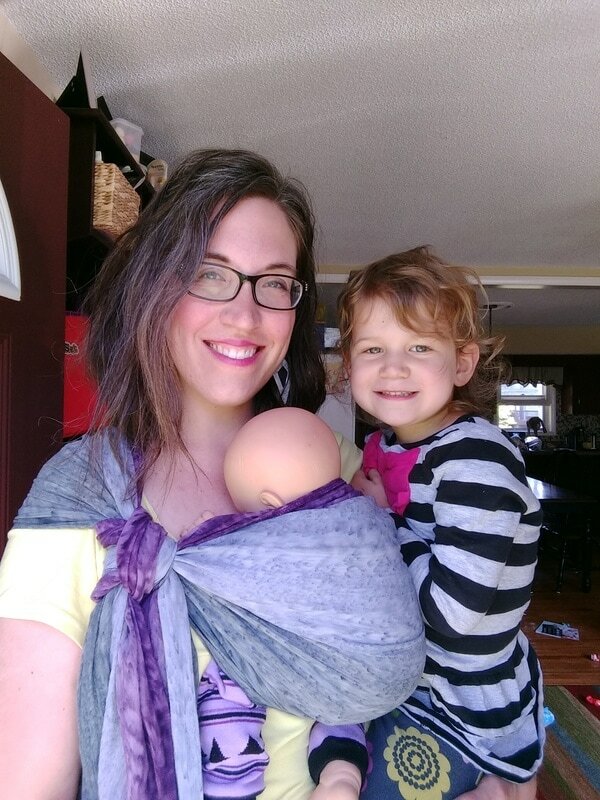 I personally struggle a bit with a base-4, but my favorite short wrap length is a base-3. For me, this is a size 3. I love some of the carries I can do with it! it is helpful to know how to tie a slip knot for some of the carries, and if you have a set of SlingRings, you can use these to your advantage with short wraps! There are many carries you can do with a base-3 and my favorites are (click on each link for a video tutorial of the carry): Front Reinforced Torso Sling, Semi Front Wrap Cross Carry, Traditional Sling Carry, Poppins Hip Carry, Half Jordan's Back Carry, Back Torso Carry, Shepherd's Back Carry, Short Back Cross Carry, and Ruck Tied at Shoulder. 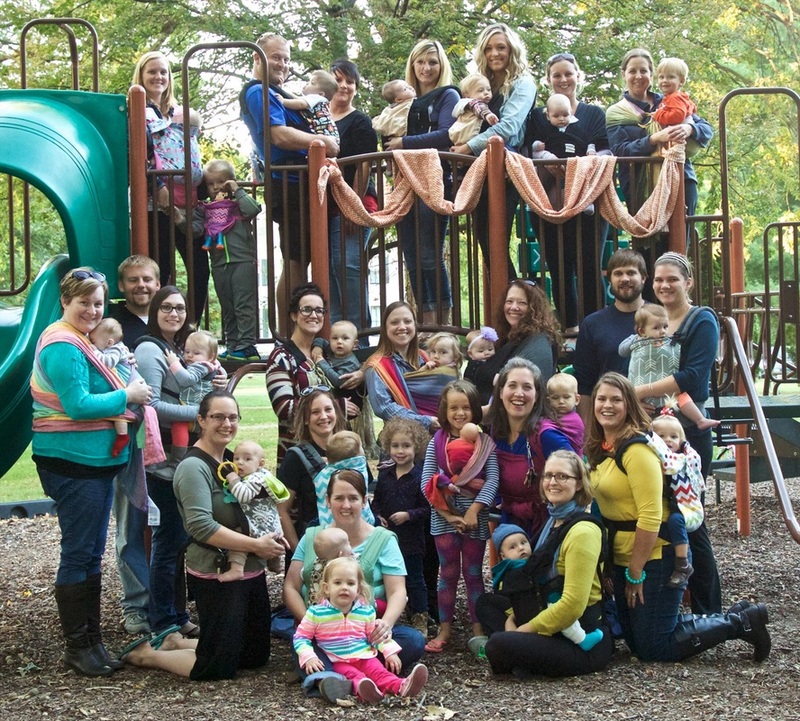 For more reading about short wraps, check out these great posts from Amy Wraps Babies!